Offering spectacular panoramic Intracoastal Waterway views from inside, as well as their waterfront patio, you can watch boats cruise past your table and relax to the sound of sail masts lightly tapping, all while enjoying their casual American brunch, lunch and dinner menus. Signature favorites are baby back ribs, blackened mahi tacos, fresh fish and their new Sunday Brunch. Signature events are the Azalea Festival After Garden Get Down Party, Easter Brunch, Mother's Day Brunch and Christmas Dinner. Bluewater has a day dock right in front of the restaurant, offering their guests the ability to dock and dine. 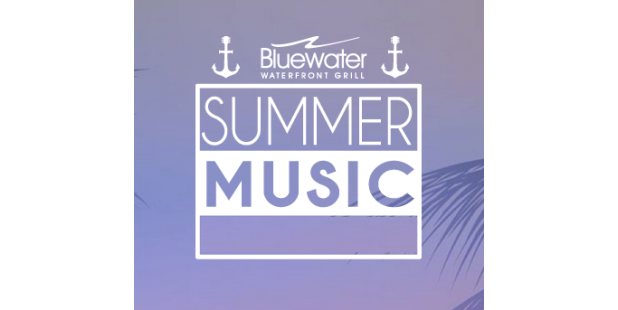 Enjoy seasonal live music on the patio every Sunday from 4pm to 8pm during the Spring and Summer. During busy times use call ahead seating to put your name on the list.